In an effort to ease up on spending, I took in a few items to be altered in hopes of creating some new looks on the cheap. After salivating over the colorful spring 2012 ACNE cropped pants shown above, I threw in my wide legged trousers and jeans to also get the chop. Happy to say I now have two "new" pairs of pants that are far more flattering then before. Showing some ankle helps when you're only 5'4. If you're looking for an inexpensive way to freshen up the wardrobe for summer, I definitely recommend giving your wide legs the scissor treatment. As per usual, Zara kills their spring lookbook with quite a few runway inspired offerings. 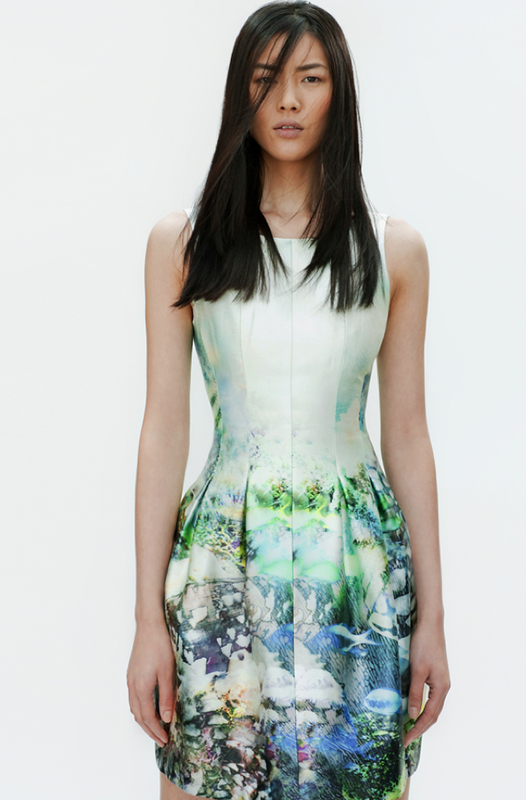 The Dries Van Noten dip dyed jeans and the Mary Katrantzou- esque dress being the two most obvious knock offs. I am really loving the tan leather jacket and poppy peplum skirt combo as well as that sleek long white tuxedo vest. For a girl who's trying to resist the temptation to shop 24 hours a day now that spring is here, they sure don't make it easy. 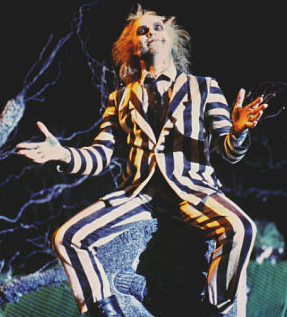 Taylor Tomasi Hill doesn't totally remind me of Beetlejuice but the infamous image of him in his striped suit did cross my mind. Regardless, I am really feeling those vertical stripes.